Downhams Farm is a holiday home situated in Woodbury in the Devon Region and is 28 km from Torquay. The property boasts views of the garden and is 9 k.. 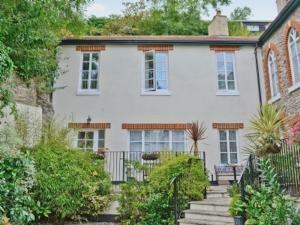 The Boathouse is a holiday home located in Dartmouth in the Devon Region and is 3.9 km from Blackpool Sands. It provides free private parking. The ki.. 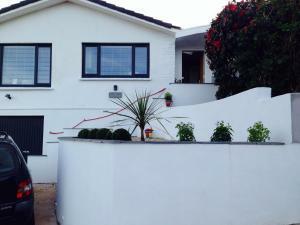 Apartment 3 is a holiday home with a garden, located in Torquay. 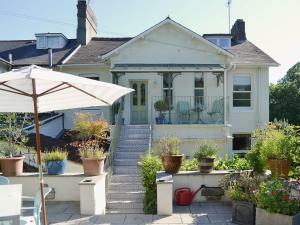 The property is 500 metres from Torquay Connections - Torbay Council and free private..
Moorings Apartment is a holiday home located in Torquay in the Devon Region and is 1 km from Meadfoot Beach. The unit is 2 km from Torquay United FC. .. Located 1 km from Meadfoot Beach, Moorings offers pet-friendly accommodation in Torquay. The unit is 2 km from Torquay United FC. Free WiFi is availab.. The Apartment is a holiday home situated in Torquay in the Torquay City Centre district, 200 metres from Torre Abbey. The unit is 1 km from Torquay Ma.. Located in Dartmouth, Devon, just 1 mile from the River Dart, The White House Dartmouth features B&B accommodation with garden and sun terrace. Free W.. Featuring a seasonal outdoor pool, Clock Tower Cottage is a holiday home set in Totnes in the Devon Region. Offering free private parking, the cottage..
Pebbles offers pet-friendly accommodation in Seaton. The property is 42 km from Torquay and features views of the garden. The unit fitted with a kitc.. The Hayloft offers accommodation in Diptford, 18 km from Torquay and 27 km from Plymouth. The property is 39 km from Exeter and free private parking i.. Featuring a garden, Stable Cottage is a holiday home situated in Colyford. The property is 43 km from Torquay and boasts views of the garden. 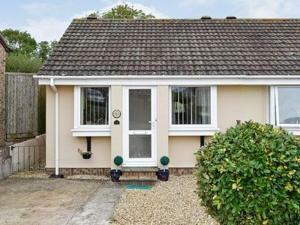 Free WiF..
Set in Diptford in the Devon Region, this holiday home is 18 km from Torquay. It provides free private parking. Free WiFi is offered throughout the pr..
Blue Buoy Cottage is a holiday home located in Brixham, 400 metres from Brixham Harbour. The cottage is 1.4 km from Berry Head. The kitchen comes wit..
Kings Court Cottage is a holiday home situated in Harberton, 16 km from Torquay. The property is 31 km from Plymouth and free private parking is featu..
Harbour Reach Flat is a holiday home set in Brixham, 400 metres from Brixham Harbour. The property boasts views of the city and is 1.2 km from Berry H.. Brandy'S is a holiday home situated in Colyford, 43 km from Torquay. It provides free private parking. Free WiFi is offered throughout the property. ..
Old Mill Court is a holiday home set in Brixham, 300 metres from Brixham Harbour. The holiday home is 1.6 km from Berry Head. There is a dining area ..